ArborCanada Home Page » Blog » Archives --Jump to an Article-- Canada Job Grants – funding available for employers to train workforce. Canada – Ontario Job Grant – funding is available for employers to train workforce in Ontario. Success Chainsaw Train the Trainer Event! Arboriculture Canada is a National Awarding Body (NAB) with the ABA (Awarding Body Association) International. Champions of Technology – ArborCanada Featured! What Makes a Good Instructor? The Women’s Arboriculture Conference – Mar. 5 – 7, 2014 Arboriculture Canada delivers Utility Tree Trimmer and Worker Training in Alberta – March, 2013 Tree Appraisal Qualification – NEW COURSE OFFERING! CUT STRAIGHT! Canada Job Grants – funding available for employers to train workforce. The Canada Job Grant is an employer-driven training program. This means that employers decide on who gets training and what type of training may be needed for new and existing employees. Employers must use a third-party training provider to deliver the formal training either onsite, online, or in a classroom setting. It is in an employer’s best interest to invest in developing the skills of their workforce, so they can get the job done and continue to operate. The Canada Job Grant is part of the federal and provincial governments commitment to help address skills mismatches and ensure that employees are being trained in high-demand areas. Arboriculture Canada recommends you to take advantage of this opportunity for funding to receive training for your workers in the specialized industry of arboriculture and other high angle or professional chainsaw operating work fields. We have been approved as an eligible training body in Ontario, and expect the same in other provinces. Please contact us to receive course outlines and quotations which are needed in order to apply for this funding. We will do our best to provide any necessary information needed by our customers to assist you in receiving the funding. Posted in Arborist Safe Work Practice, Arborist training, Standard Operating Procedures or Guidelines, Training Events | Comments Off on Canada Job Grants – funding available for employers to train workforce. Canada – Ontario Job Grant – funding is available for employers to train workforce in Ontario. On March 28, 2014, Ontario signed the Canada-Ontario Job Fund Agreement with the federal government. The agreement is a key source of funding for new initiatives to help Ontario’s employers develop their workforce through employer-led training. We have found out that Arboriculture Canada is an eligible training body. 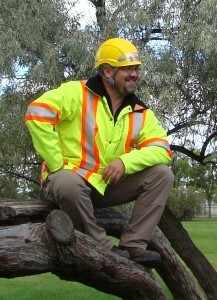 Therefore, this is a very good opportunity for Ontario employers to apply for funding, either to send staff to our open enrolment/public training courses scheduled in various places in Ontario http://www.arborcanada.com/arboriculture_training_schedules.php or to book a private, customized training program at your site. To find out more about the grant money available, please go to: http://www.tcu.gov.on.ca/eng/eopg/cojg/index.html This is also where you need to submit your application to receive this funding. Arboriculture Canada will work together with you to provide the curriculum, a quotation etc. according to what you request to complete your application. Please contact Nancy at nancy@arborcanada.com or by phone 1-877-268-8733 or direct 403-556-1701 to request these items when you making application. Posted in Arborist Safe Work Practice, Standard Operating Procedures or Guidelines, Training Events | Comments Off on Canada – Ontario Job Grant – funding is available for employers to train workforce in Ontario. Success Chainsaw Train the Trainer Event! 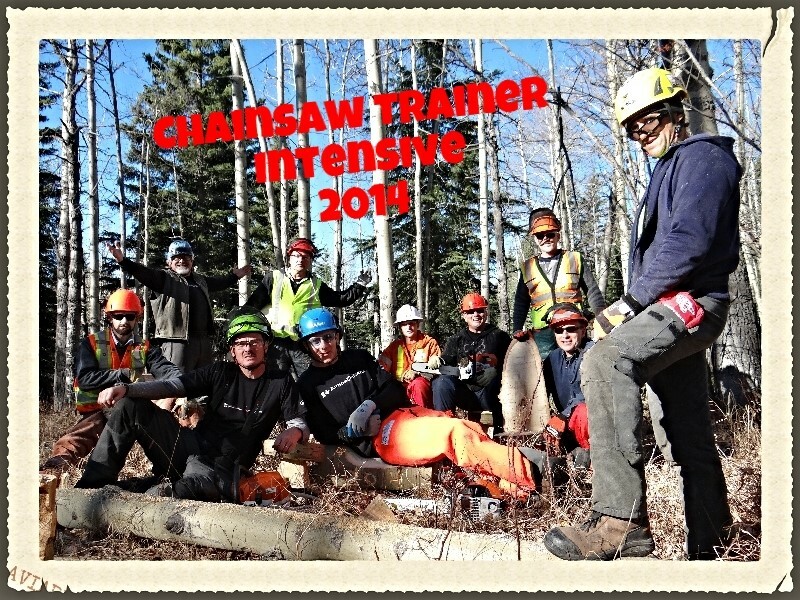 Last week near Caroline, AB – a successful week of Chainsaw Train the Trainer. Here is a re-cap! Posted in Chainsaw Use, Technical Tree Felling Techniques, Train the Trainer, Training Events, Uncategorized | Comments Off on Success Chainsaw Train the Trainer Event! Arboriculture Canada is a National Awarding Body (NAB) with the ABA (Awarding Body Association) International. ABA International (Awarding Body Association) was founded in 2012 in response to a demand for international recognition of qualifications gained at state or national levels. The trans-national mobility of qualified people facilitated by a voluntary partnership of national awarding bodies is a core principle of ABA. ABA is managed on a minimum administrative basis in a cost effective manner. A simplified organisational structure provides each member country equal representation within the association. National awarding bodies (NAB) are subject to an International accreditation and vetting process. Core to quality assurance and uniformity of the qualifications is the principle of trans-national supervision. In support of this principle ABA continuously develops, updates and enhances International qualifications skills standards & matrices. Partner agreements include general procedures for cooperation; transfer of qualification credits; national awarding body responsibilities; certification endorsement etc. Further, ABA endeavours to promote the mutual recognition of its member’s qualifications world-wide therefore reducing or removing potential barriers to employment and mobility. Are you an Arboriculture Canada Qualified Technician in a Chainsaw Domain? Arboriculture Canada has been given equivalency for chainsaw qualification with the ABA in the following chainsaw training domains. If you have taken a chainsaw qualification test and successfully become a Qualified Technician in one of these domains in the last five years (since January, 2010), you will be receiving an email inviting you to register yourself for the ABA Certification. The only thing required to receive this ABA Certification is a $12 processing fee and you will then be registered with the ABA Registry (which is an online registrar). You will immediately be registered as an ABA Certified Candidate internationally. Hazard & Danger Tree Cutting & Falling (Hazardous Tree Falling Technician) (provided you have received the Tree Faller Technician) Chainsaw Level 3: Advanced Tree Felling Techniques andChainsaw Level 4: Windblown & Damaged Tree Felling Techniques. For any candidates who have taken customized tests with Arboriculture Canada through your organization or company in the chainsaw domain, please contact Nancy to inquire which equivalency is applicable to your test. Arboriculture Canada is choosing to endorse and support the goals and aims of the ABA, as we believe that the intentions align nicely with our corporate vision and the recognition of ABA qualifications around the world will serve to improve the safety of working arborists and chainsaw operators. Posted in Arborist Safe Work Practice, Chainsaw Use, Technical Tree Felling Techniques, Training Events | Comments Off on Arboriculture Canada is a National Awarding Body (NAB) with the ABA (Awarding Body Association) International. Champions of Technology – ArborCanada Featured! 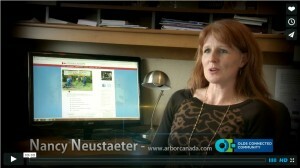 Posted in Training Events, Video Archives | Comments Off on Champions of Technology – ArborCanada Featured! Recently printed in the Continental Connection newsletter. What sets one instructor apart from the majority? Arboriculture Canada Training & Education Ltd. has developed a process for training and mentoring instructors that serves to do exactly that. As owner and lead instructor of ACTE, Dwayne Neustaeter began to train and mentor instructors many years ago. He has developed a train the trainer program that takes individuals through exercises that challenge them to develop the presentation and communication skills necessary to not only facilitate effective learning in attendees, but also to make learning engaging, entertaining and fun. Dwayne sends out weekly emails (Platoon Weekly) to a team of over 100 people who have attended past Train the Trainer events with him to remind them of the principles of effective instruction and presentation. If you have ever had the good fortune of attending a course, session or presentation conducted by Dwayne, chances are you were engaged, entertained and you remember a good deal of what you learned during that session. If you are currently a leader in your organization, whether a supervisor, a crew foreman, a trainer or the owner – you might be interested in some of the tips that we use when training and mentoring our instructors. We thought we would share some of them in this issue with you. I learned a unique way to teach a lesson about tree assessment from Alex Shigo. He would ask a group to list above ground tree parts, and the lists would be quite vast. Then, he would ask everythone to list below ground tree parts, generally called roots, and the list would pale by comparison. The lesson – there is a lot more known about the above ground tree parts than there is about the below ground tree parts. This becomes a lesson in tree biology. However, I can also compare this lesson to teaching. There is a lot of emphasis put on the data or content aspect of teaching, and yet, all parts are important in any system. If you focus most heavily in one area over another, you will have an imbalance, so Data (Content) does Matta, but not at the expense of Context. They both need to be considered equally for there to be success in learning. Teaching is like tree assessment and we have to consider all parts above and below ground, content and context, in order to make reasonable and reliable assessments and lesson plans. I am as passionate about content and context management in the classroom as I am about my passion to learn and understand trees above and below ground. This past week Andrew and I attended a five day course called ‘Ultimate Leadership Camp’. 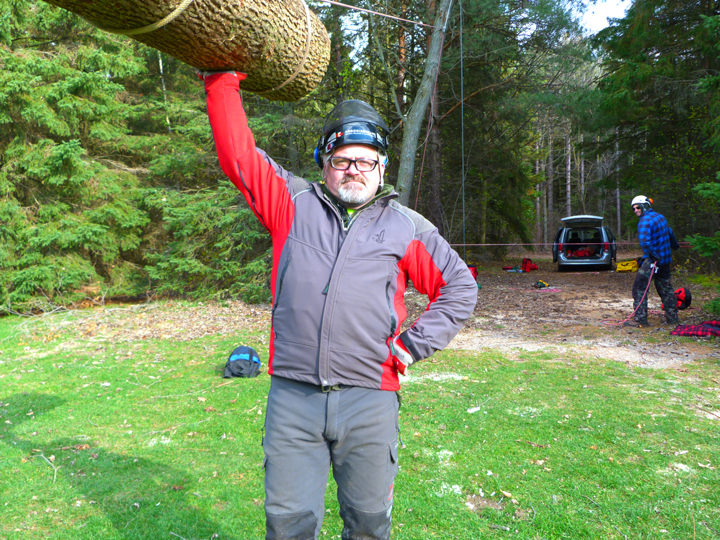 This camp was delivered by the same instructor and company that I took my trainer courses from years ago, the courses from which I developed the content and format for the instructor/trainer intensives that Arboriculture Canada delivers. It was a great course and one of the biggest things I learned was that as trainers or instructors we are also leaders – this goes hand in hand . . . like air and light, sun and heat or smell and taste. The only difference between a leader and an instructor/trainer is timing and appointment. There are times when you are the instructor/trainer by designation, however leaders are chosen by those they are together with. Leadership is one of those things that other gives you – like your reputation. The following is a list of some characteristics of a leader we learned at the course. I challenge you to practice them in your life and watch what happens. Pro-Active – take action on problems or opportunities as you see them develop . . . make things occur. There are many important components of planning a training program, lesson plan, meeting or event that will facilitate and allow for trust and openness amongst participants and effective lasting learning. Dwayne addresses them one by one in his trainer programs, as well as through his weekly messages. The following is a weekly message that he wrote just prior to delivering a recent Chainsaw Train the Trainer event as he was preparing. This week as I prepared for the Chainsaw Train the Trainer program, I was thinking about all the past classes and the memories I have each and every intensive I have been a part of. I look forward to the learning that I know I will gain from working with new people with new experiences. I am always reminded of the story about the mental tool box. I first heard this story from Tim Ard and I have never forgotten it and have told it myself many times over. Training and education truly is a journey, not a destination, and like the old toolbox in your garage or in your truck, your mental toolbox is dialy exposed to new experiences and interactions, particularly at a training event like a seminar or course. It is important to remind people that you are teaching or leading that your purpose is simply to add to their mental toolbox. Many of us had a junk drawer of tools, trinkets, special wrenches from the last BBQ or children’s toy you assembled. The box gets bigger and bigger and for the most part you don’t throw much of it away, even though you may not use each tool very often or ever. Why don’t you throw anything away? The reason is because you know what that tool is for . . . and you might use it one day. Experiences, training and education is a lot like that. Each learning is valuable and means something specific to you. When you are in a leadership or teaching position, you can start with this analogy and encourage enrollment from the class. (by asking them to mimic the opening of the brain with their hands above their heads . . .) It is a good way to let the audience know you are there to help, and more importantly you can end the session by reminding them of the toolbox analogy and request them to do one thing. What is that request? Ask everyone to simply keep an open mind because like a toolbox, if it is closed, nothing can get in! It is such a great analogy because it also illustrates the important connection between training, education, information and experience, and how one without the other is not complete. So much of how we learn is through synthesis of knowledge into practice – experience is the qualifier. True or True! Open up your toolbox to learn more! How many of you have learned a lesson or gained respect for someone from listening to their story? E.T.R. is where you tell a story that relates and applies to the topic you are teaching. It is a true story that explains why you are qualified to teach the course or present the topic. The story should be designed to give you the right to present on the topic and it should make your students understand that you know the material and have the experience to back up what you are going to be talking about. A good ETR is passionate and authentic, remember your truth is in your passion, and people don’t care what you know until they know that you care. An ETR can include or be a relational story about something you witnessed that impacted your life and/or effected change in you. Your ETR builds confidence and ties in with your WIIFM. After your ETR your students are even more excited to hear what you have to say. Your ETR is personal and it is where you begin to establish a fundamental trust with your audience by making yourself vulnerable. It often is a story of a challenge or character building experience in which you learned a hard valuable lesson, a lesson you want to help other’s learn more easily. The basic concept is that we don’t have enough time to make all of the mistakes ourselves and that experience is one of our most valuable teachers, and so the more we can learn from others experiences the better, TRUE or TRUE. A good ETR shows a willingness and more importantly a commitment to learn and share, like in all things practice and stick with stories that have worked well in the past. Your ETR is about experiences, it gives a relational human quality that resonates with those listening, it helps others relate and connect with you. These are all snippets of advice from a master of instruction. Dwayne has spent many years teaching around the world to people of many ages, walks of life and occupations. He connects with people in a relational way and he learns from everyone he interacts with. He has a gift of teaching – and those of you that have learned from him can understand his passion. These are some of the principles that Arboriculture Canada nurtures in the instructors we use to teach our programs. Dwayne and our team of instructors looks forward to working with more learners in 2014, and thanks all those attendees in 2013 for your participation, your passion and your commitment to learning! Posted in Continental Connection Newsletter, Train the Trainer, Training Events | Comments Off on What Makes a Good Instructor? The Women’s Arboriculture Conference is a unique experience as it is an inter-disciplinary forum addressing trees, their place in our world and our relationship with them. Speakers and delegates who are arborists, foresters, horticulturalists, landscape architects and designers, land planners and managers, and master gardeners are meeting with the shared purpose of discussing and problem-solving tree-related issues. What: The Women’s Arboriculture Conference provides a venue where women speakers, under represented at industry conferences, who are expert in their fields, provide solid technical, management, and policy information, creating an interdisciplinary environment where professionals can expand their viewpoints and make lasting, productive connections. Arboriculture Canada is proud to sponsor and support this event. This March saw the first off campus delivery of the Utility Tree Worker (UTW)/Utility Tree Trimmer (UTT) training program in Alberta. The Industrial Vegetation Management Association of Alberta (IVMAA) oversees the training program and certification of the provincially recognized certification. The UTW/UTT certification, is an Alberta provincially recognized certification that is mandatory for all persons who perform vegetation maintenance around energized power lines and ground work around energized power lines. It is also recognized by Saskatchewan and Manitoba through IVMA ManSask. Before candidates can apply for this certification, they must take the UTW/UTT training program as this is a mandatory course required by all persons seeking to receive their UTW/UTT certification. The IVMAA is the only recognized organization that can issue these provincially recognized certifications for successful UTW/UTT graduates. Successful candidates must have completed this training program and also accumulate 1200 hours working in proximity to energized electrical equipment, and these hours must be logged and verified in a log book by an already accredited UTW/UTT. The difference between a UTW and a UTT is that a UTT has to log a minimum of 600 hours working in proximity to energized electrical equipment from an aerial position. The training component has been and continues to be traditionally delivered by Olds College in Olds, AB. Arboriculture Canada has been getting requests for many years from customers who would like to get the UTW/UTT training but are unable to send their people away for two weeks or who missed the window when the course was offered at the college and are unable to wait until the next offer. Arboriculture Canada delivers training components in their regular courses offerings to customers across Canada that is also part of the UTW training program and therefore has the resources to develop course content and materials for a Utility Tree Worker Training program. ArborCanada made a request through application to the IVMAA seeking recognized equivalence to the IVMAA UTW/UTT course. Through a process of communications and meetings, Arboriculture Canada’s program was granted equivalency and a successful delivery of the program was completed in early March at an off campus location. This program was the culmination of many years of hard work, meetings and passing stringent requirements and in the end it was the first time since the beginning of the IVMAA UTW/UTT certification program that it was delivered off campus and the first time a private training company has delivered the course. Arboriculture Canada’s course is stringent and broad in scope and combined with the electrical training it encompasses 13 days of training. The group that received the training in March of 2013 was the East Prairie Metis Settlement. The Metis are first nation people who started families with the white settlers in the 1800’s. There are over 500 thousand Metis in Canada today. The training took place at their site and location, near High Prairie Alberta, where the Great Plains and the boreal forest converge – a land of lakes, rivers, aspen, spruce and pine and the theoretical in-class learning was complimented by tying knots by the fire, climbing, rigging and other practical hands on time in the field. Congratulations to the successful graduates of the first off campus Utility Tree Worker and Utility Tree Trimmer training and qualification program. Tree Appraisal Qualification – NEW COURSE OFFERING! Over the years requests from customers have presented us with opportunities that are innovative and often bring on the development of a new course offer. Many times the needs of one customer are similar to the needs of others. Several years ago we were requested to develop curriculum and an evaluation process for arborists who place monetary value on trees in order to establish some form of financial compensation. The concern was that there was no formal credentialing process for tree appraisal and this left the evaluations performed by these individuals open for interpretation with the question of what qualified these arborists to perform tree appraisals. Another challenge in the industry has been that because many arborists have been self-taught the appraised values from one appraisal to the next often varied in range considerably. One of our municipal customers wanted a formal training module delivered that would bring consistency and credibility to their appraisal process. In 2012 we delivered our first Tree Appraisal Qualification module and it went very well and was well received. Twelve individuals were successful in completing the course and evaluation process and are now Qualified Tree Assessors. The Tree Appraisal Qualification program consists of hands on appraisal practice and the evaluation includes the preparation and submission of a tree appraisal report. The Guide for Plant Appraisal 9th edition serves as the main text book for the course and the methodologies contained there-in are used as the model for which to perform tree appraisal with the focus being on the trunk formula method. Due to the success of this program and the lack of such a credentialing process readily available in the industry our customers can now enroll in this program as part of our public training schedule in 2012. This course differs in one important way from our standard course offerings in that it will include an evaluation process that will give successful participants a qualified tree appraiser’s credential. The credential is based on the Council of Landscape Appraiser’s Guide to Plant Appraisal and as such the appraisal techniques described in the book serves as validation of the methods taught and evaluated in the course. The techniques described in the Guide to Plant Appraisal are commonly used in the industry and serves as justification and lends credibility to the qualification. In researching and developing this module it became apparent that a credential for appraisal does not readily exist and this course is a first of its kind. It is a success we are proud of and we would like to congratulate and thank the City of Saskatoon successful participants. As a training company it is important to develop and expand course offerings as it is a sign of growth and sustainability, and we intend to continue to offer high quality training and education that exceeds our customers business and safety needs. Customization and specialization is a goal and service we are proud of and intend to continue. This attention to our customer’s needs is a part of what serves to organize and develop offerings that others may benefit from. We encourage any other municipalities or companies that may need to write valuation appraisals to request a proposal to have this course brought to you on a contract basis, at your location and on your schedule. Our longevity in the training business, our vast array of customers Canada wide and the extensive and comprehensive insurances we carry all serve to validate our courses and connects everyone who attends our courses together to provide a reputable and defendable academic process. Thanks to everyone who attends our courses or contracts us to train privately – we appreciate your business and share your dedication to improving this business of arboriculture through training, education and credentialing. I and all of our staff and instructors look forward to continuing to serve Canadian arborists in the years to come. Posted in Training Events, Tree Appraisal | Comments Off on Tree Appraisal Qualification – NEW COURSE OFFERING! 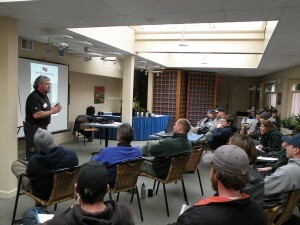 Arboriculture Canada chainsaw instructors and associates gathered together for Chainsaw Instructor Intensive Training Camp 2011, in the Peterborough, ON region at Elmhirst’s Resorts from Jan. 30 – Feb. 4th. The purpose: to review, develop and collaborate together on improving our teaching techniques and updating our course resources with a specific focus on technical tree falling, hazard & danger tree cutting and advanced chainsaw safety, operations and maintenance. This panel of experts in our industry draws on a combined 150 plus years of experience using chainsaws and working in the urban forest, from owning and operating tree services, working for municipalities and teaching in college environments. This experience, expertise and shared knowledge serve to strengthen and improve course curriculum and teaching methodologies of our courses. Attendees delivered a block of instruction in camera and before their colleagues, which was followed by a peer review and feedback session on all aspects of the instruction, including the strengths and weaknesses; from introduction, use of accelerated teaching techniques and suggestions on ways to increase retention and the effectiveness of teaching the content. A day was spent in the snow at the edge of the lake, studying and practicing advanced tree falling and cutting techniques. An evening of chainsaw maintenance in the shop, tearing down saws, examining maintenance practices and learning from each other was a techie’s dream. Our customers will see new course workbooks for all chainsaw training modules in 2011. A complete rewrite of these modules has recently been completed, with accompanying photo’s, diagrams and illustrations to better supplement the learning during the training programs. These new workbooks provide additional resource material which will strength the retention of learning and supply a resource that can be used following the course to remind students of the skills that they learned. In time, this learning resource will be available for sale to arborists and chainsaw professionals outside of our student groups and around the world. The mantra of the week – ‘Cut Straight’ – reverberated strong and was heartfelt. Each instructor is passionate about teaching, and is especially passionate about reducing the accidents and fatalities caused by chainsaw accidents, cuts, and ‘struck-by’s when falling and cutting trees. This week was dedicated to studying the techniques used in chainsaw operations and tree felling, as well as learning and practicing teaching skills that will continue to make the programs delivered by Arboriculture Canada instructors effective and leading edge. The unique personality, passion, authenticity and power of purpose was evident and strong in this group. Arboriculture Canada is proud and privileged to be associated with such quality people. To quote the creativity and quick wit of Bob Smith – all our customers can be assured that our instructors ‘gauge the depth of their cutting edge personalities’! 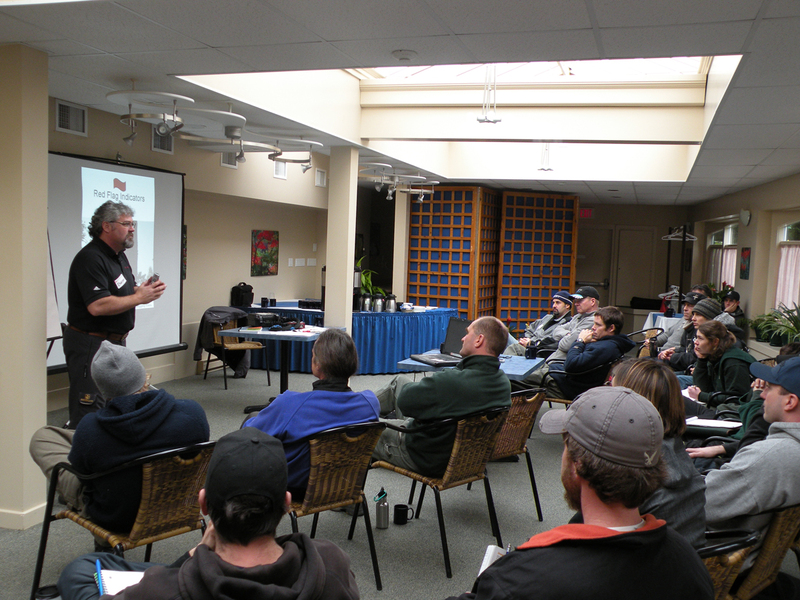 Arboriculture Canada offers instructor training privately for small groups of people. Contact us to learn more about how you can get instructor training that reveals the secrets of how to deliver high energy, memorable and effective presentations using adult learning techniques such as; suggestology, accelerated learning, edutainment and educomedy. 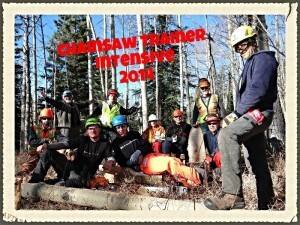 Chainsaw Intensive Train the Trainer – A Glimpse! Posted in Technical Tree Felling Techniques, Train the Trainer, Training Events, Uncategorized | Comments Off on CUT STRAIGHT!